In the manufacturing industry, the grade of your instrumentation often defines the overall quality of the product you end up with. This is particularly so if you are machining precision products. In such cases, you can turn to Willrich Precision to provide you with some of the best tools in the industry. 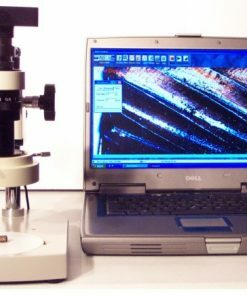 The VIVID line of products refers to digital microscopes which can be used in various phases of machining, such as during quality control after manufacture of a product. The high resolution of the VIVID microscopes makes it easy to identify microscopic flaws which might end up making the instrument less accurate. If accuracy and good value for money during instrumentation are what you are looking for, the VIVID line of products is one that you should consider. Willrich is committed to ensuring that precision instrumentation is not only easily accessible, but that it can be gotten at an affordable price. Our inventory contains an impressive array of products from VIVID, to suit people with different needs for the instrumentation. What you can be guaranteed on is the fact that the products will be as accurate as can be, since we stock nothing but the best. Our easy to use inventory system simplifies the process of getting what you need from a wide range of products within seconds!